Jos koulunne, luokkanne, työpaikkanne tai joku muu organisaationne on kiinnostunut matkapresentaatiostani (45-75min), ota yhteyttä osoitteeseen lukas.priklopil[at]helsinki.fi. Presentaatiossa haluan kertoa minkälaisen kuvan sain maailmasta ollessani matkalla 14kk polkupyörällä. Videoitten ja kuvien avulla kerron miten paljon apua sain tuntemattomiltakin ihmisiltä. Kerron, miten turvallisesti matkustin maailman ympäri haasteista huolimatta. Presentaatio voidaan esittää suomeksi, englanniksi, tai tsekin kielellä Etelä-Suomen alueella (Turku-Tampere-Helsinki-Kotka). Presentaatio on ilmainen, mutta vastapalveluksi pyydän tarjoamaan matkat ja ruoat. 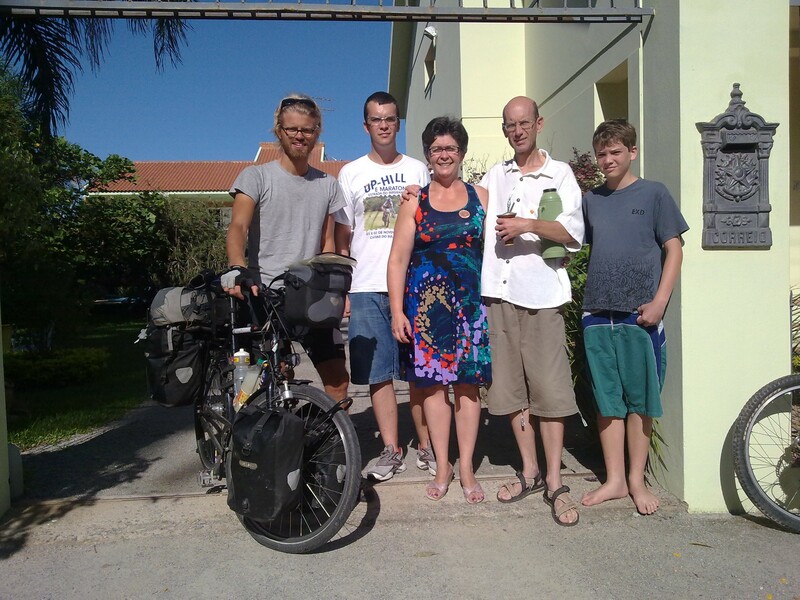 Presentation will be about the view of the World I got during my fourteen month trip on a bicycle. With videos and pictures I will tell you stories about how people helped me along the way. I will tell you how safely I traveled around the World despite some challenges. 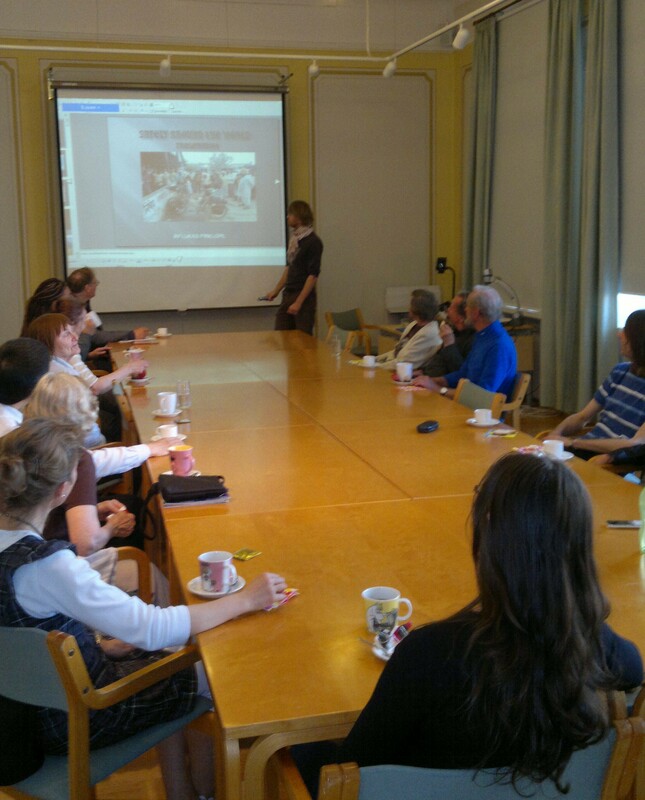 Presentation can be given in English, Finnish or Czech in areas of Southern Finland (Turku-Tampere-Helsinki-Kotka). The presentation is free of charge. However, I will ask for the transportation costs and a meal. Seatpost Satori Camber Patent, Aluminium Satori Camber patent, aluminum ? Wheels EXAL MX19, aluminum hollow chamber, double eyelets ? HOW DID WOOFFIE MANAGE ON MY TOUR? In general, I was very pleased with Wooffie. I cycled around 21 500km with the load (35-45kg), mostly on paved roads and had no bigger problems . It was really pleasent and easy to ride -like Mercedes. Rohloff – It works really good. The lowest and highest transmission is enough to cycle over Andes or shake off an Indian cyclist following you. Exchanging hub oil every 10 000km and reversing the rear sprocket once was all I had to do. I swapped chains every ~1500km (had chain guard) and my sprockets look still ready for another World tour. Magura Brakes – I had three pair of brake pads and they lasted easily to the end. Very good and steady braking. Marathon Supreme – Good choice for my “fast” tour. I was on paved roads most of the time, with some rainy days. Tyres lasted until the end, and are still usable. After my first puncture in India, I had 25 more punctures. Robustness– I guess all the parts were really good, because I had no problems with anything cracking whatsover. Frame, racks, pedals, fork, excellent! Outlook– It doesn’t look like a super expensive bicycle. 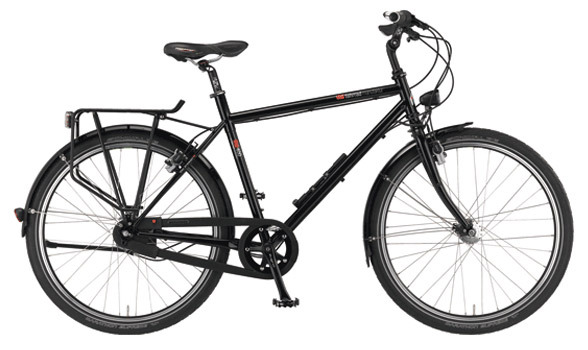 Rims – Had only one spoke issue, when one idiot moved my locked bicycle with force. I was worried about a rim crack in South America, but my rims lasted until the very end. Mirror Mirrycle– The best thing to have as an extra feature on your bicycle. Front Light – Amazingly powerful light for night riding. Flats – If you get a “hidden” puncture in the rear tube, you are screwed. You have to unscrew just too many small (and annoyingly attached) screws to get the inner tube out. This is because of strange attachment of the Rohloff speed hub. Fenders – Just too close to the tires. The rear wheel must be deflated in order to remove it. Also more thick mountain bike tires (especially for the rear wheel) were touching the fenders no matter what. Expensiveness – even though it doesn’t look like it, it is expensive. That is why you need a good lock to sleep your nights calmly. And good lock weighs more than necessary. Fixing Rohloff & Brakes – Rohloff speed hub, although “unbreakable”, and Magura hydraulic brakes are difficult to fix in the middle of nowhere… you just have to trust that the cables and Rohloff lasts. And they should. Pletscher stand – Of course nice to put your bike on stand (and it stands), yet screws got loose way too often. Perhaps unnecessary weight? Saddle – Not very comfortable, but I guess ergonomic and healthy for my “manhood”. 1) For unknown reason my spotlight stopped functioning after one week. I was still in Germany, so I managed to replace it without any extra costs. 2) I accidently poked my saddle into a fence and made a small hole in the leather. No effect. 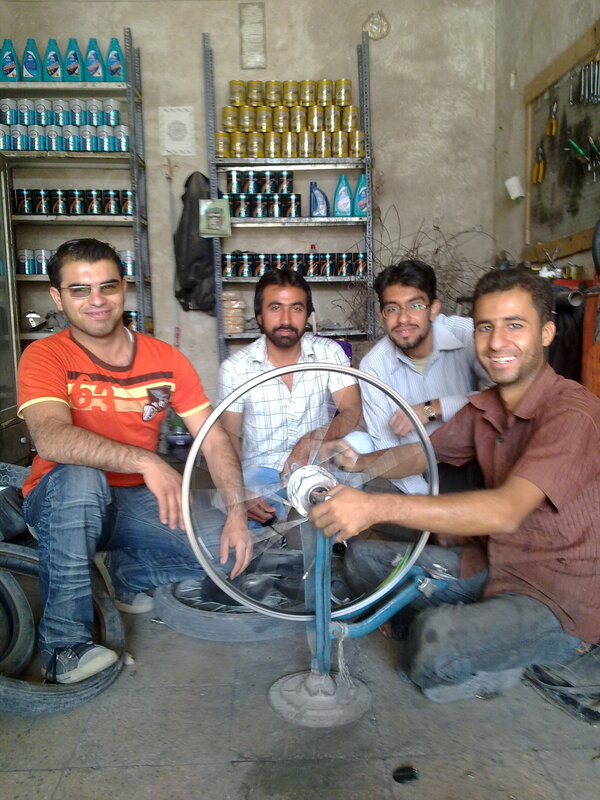 4) Broken spoke in southern Iran because of a hotel janitor who tried to carry my bicycle (it being locked). 5) First puncture in Mumbai. Since then around 25 more punctures. 6) I lost my other pit lock in India, so had to be extra cautious not to lose the other one. 7) Lost nut holding the rear wheel in Buenos Aires was problematic. 1mm thread pitch nuts were almost impossible to find in BA, until one bike shop had one in their garage. 8) The rear view mirror got fractures by unknow reason in South America. 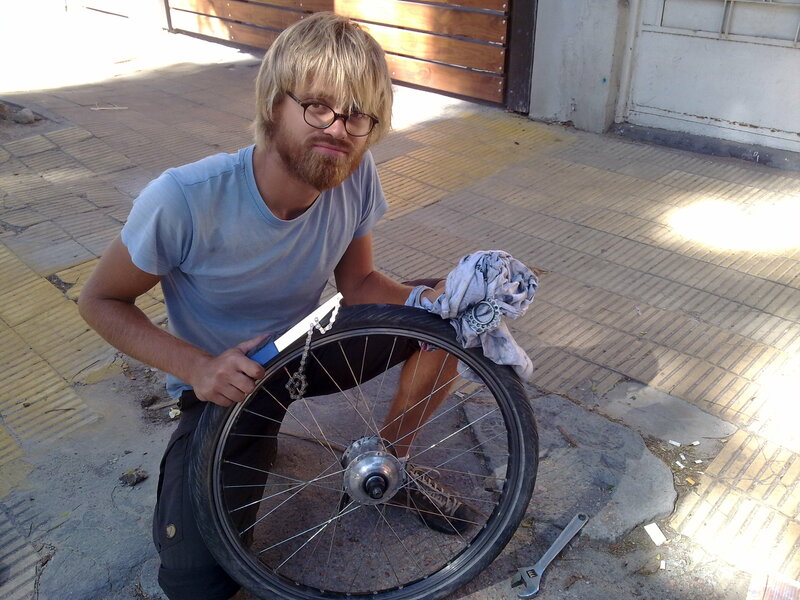 9) The rear wheel rim seemed to have a small crack in Bolivia, yet no spokes snapped. The rim lasted until the end. 10) Left crank got loose and worn out in Germany because of my sloppy tightening. These are some special moments I collected as a list. They should be in chronological order. Moldova – Being stopped by a traffic officer for riding my bicycle against the traffic rules. I was warned about these fake tickets, so I decided not to give any money to him. I was ordered in his office, but because he spoke no English, there was three minute silence before he let me out. Black Sea– One sunny day our captain decided to do a rescue rehearsal for the crew. Result: another boat had to rescue the first boat because it ran out of gas. One lady got sea sick. Kutaisi– After finding the cheapest (and poorest) guest house in Kutaisi, I shared a room and slept next to a local old man who was probably not paying for his accommodation. As little wealth as he had, it was he who invited me to eat his piece of bread and meat. We spoke nothing, and just ate our dinner in the dark room. Caucasus– Two day hike under Mountain Kazbegi brought an exciting moment when me and two Poles had to cross the glacier in the pitch dark. Setting up our tents next to Glacier gave us cold night, but an awesome scenery in the morning. Armenian Highlands– The hardest up & downs ever with my weak knee was tough. Maybe the only time I thought that if my knee pain continues, I must quit my trip. Iran– hospitality in Iran was amazing and bizarre. When I decided not to answer few questions for a local motorist, he called an interpreter and an officer to force me to answer his questions. To prove my point I rejected to answer any questions. Persian Gulf – Realizing that I had traveled overland to Persian Gulf was stupendous. I had to dip my body to the water straight away. Dubai – After long journey through Eastern Europe and Iran, it was just crazy feeling to chill on the roof top swimming pool and stare at the Burj Khalifa. And those shopping malls! Mumbai– Riding a bicycle to Mumbai downtown and back to the hostel (30km one way) was an experience! Especially when the last 15km it got dark. I was never so concentrated on the traffic as I was back then. Flyovers were the worst! India– Cycling through half of India in less than twenty days. I got followed by local cyclists, horned hundreds of times, and when stopped, stared at big time! India was unique! Nepal– Seeing the Himalayas for the first time. I climbed this hill up to 2500m, and when descending, the view got me. Kathmandu– Those danish pastries at one cafeteria were so delicious! Tibet– Crossing Tibet by Jeep/Van/Hard Seat Train. An interesting bonus feature was a dog bite to my leg by a street dog. China– Ikea meat balls in Chengdu with some Salmiakki (Finnish licorice) never tasted better. 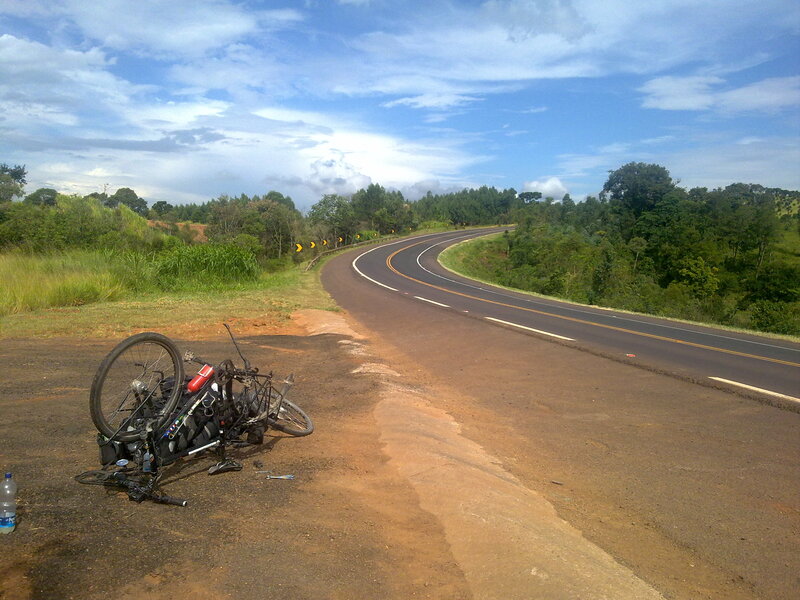 Laos– With no ATMs/money after the border, I had to cycle ~200km with some cookies, one soup sack and Salmiakki. The last 50km I had to apportion the last sweets very carefully. When I got to Thailand, I ate four dishes and two hot dogs. Brazil– Hospitality. Being invited to a private Tennis club (with sauna) and a Gremio match by one couchsurfer. Accommodation and continental breakfast- invitation by a random Brazilian family. Bike tour in Curitiba by local bike association. A man buying me a tire in Cascavel. 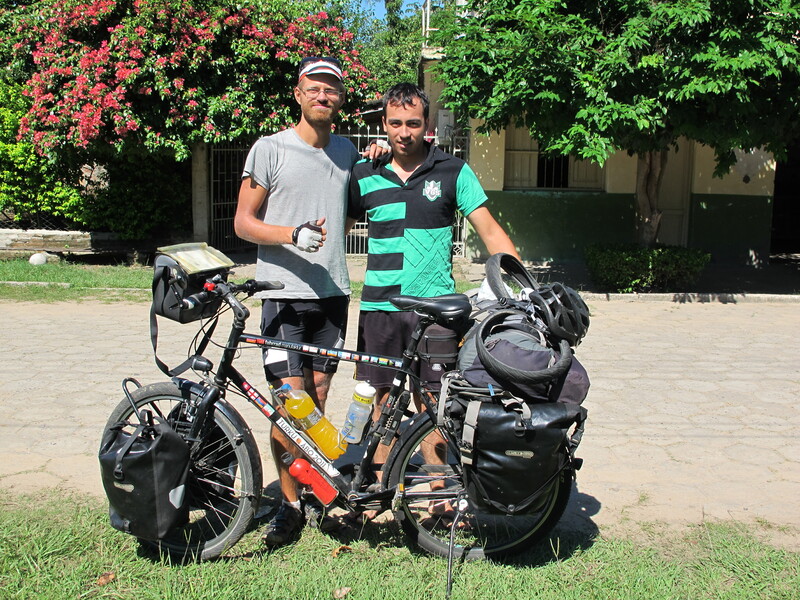 Argentina– Cycling 230km in one day through Chaco province. Bolivia– Speed record (72km/h). Also the diarrhea record. 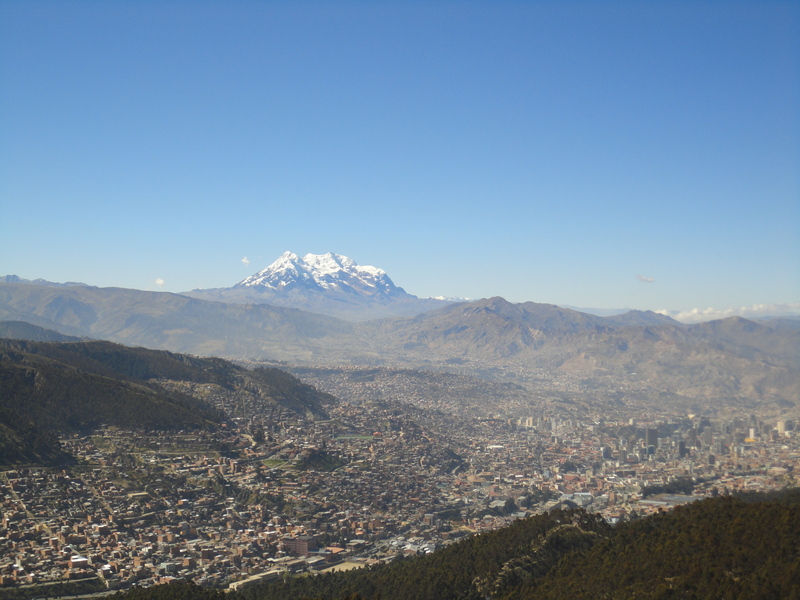 La Paz– The view of La Paz was breathtaking. Peru– Crossing Bolivian and Peruvian border. There was a demonstration going on on Peru, so I had to cycle car-impossible 100km confronting rocks, glass and protesting locals. Machu Picchu– Outstanding journey to see this phenomenal attraction. Canada– Arriving to Montreal. After ~9 months I found myself in the western World. New York– Cycling to/in New York. I never would’ve imagined cycling in New York is so much fun. “Route 66“- Me and two buddies of mine driving from NYC to LA. No more needs to be said. Legendary. Conan O’Brien– One of my favorite shows seen live in LA. Feast in Encinitas – Good food and good company in California. Bliss. Arriving to Duesseldorf – Still, a big culture shock between Norhern America and Europe. It’s nearly eight months I’ve been back home. My exhibition was up for five weeks and even the Turun Ylioppilaslehti- magazine made a short interview (in Finnish) during it’s presence. Yesterday my video which was screening at the exhibition in a constant loop without a sound, was projected in an art exhibition at my faculty. The video is in vimeo (poor quality, sorry). This movie is in English. The second video I uploaded on vimeo is from the Finnish cyclist I met in Romania. It was already once linked, but here we go again. This movie is in Finnish. And check out my new page called FAQ, just next to the LINKS page. After many hours of photo editing, video editing and installation , I can finally invite you to my exhibition of my trip. The exhibition is held at the University of Turku in Educarium’s 2nd floor. I hope I’ll be able to update my blog before summer. Hi! 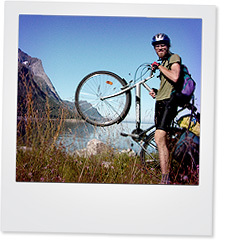 I'm Lukas and this is my travel blog - I cycled around the world in 2010-2011.